The tourist haven of Mena is situated in the only mountain range in the Western Hemisphere that runs east and west, the lovely Ouachitas. 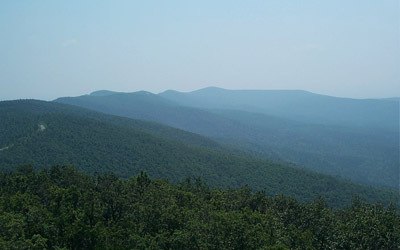 This is one of the most colorful and scenic areas of the United States, with mountain peaks reaching up to 2,861 feet. Visitors can enjoy 32 recreational areas by picnicking, camping, hiking, horseback riding, swimming, fishing, hunting and boating. United Country Arkansas Properties can save you time and money in locating Western Arkansas real estate for sale throughout Mena, Polk County, Scott County and Montgomery County and surrounding areas of Western Arkansas. We offer a fine selection of homes for sale, farms and ranches, riverfront property, recreational land and businesses for sale. Mena Arkansas is a town located in southwest Arkansas in the Ouachita National Forest. It is the county seat of Polk County. Mena has a population of just under 6,000 people and is a beautiful place to live and enjoy life. Mena has four seasons and a wonderful climate. Founded in 1896 and incorporated on September 18, 1896 the town owes its roots to Arthur E. Stilwell. Stilwell was building of the Kansas City, Pittsburg and Gulf Railroad (now the Kansas City Southern). Train service to Mena began in 1896. 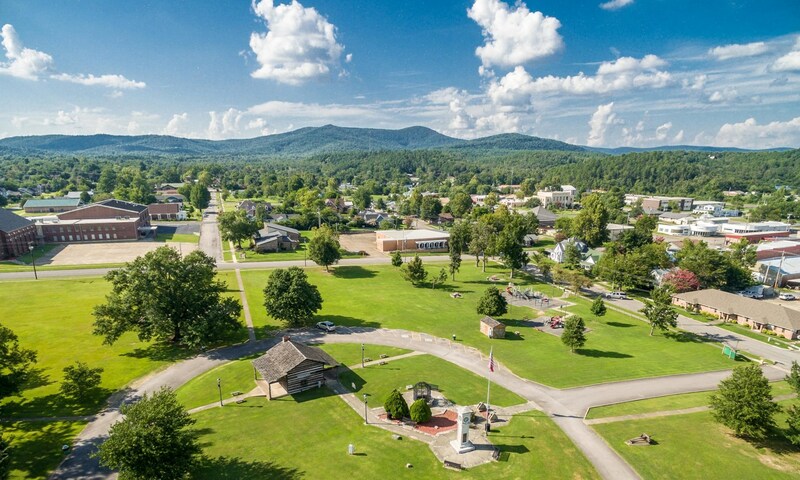 Visit the Mena Polk County Chamber of Commerce website to discover more about Mena Arkansas and the surrounding areas. The chamber of commerce website showcases many attractions in our area including Queen Wilhelmina State Park, the Cossatot River State Park and much more. Information on lodging in Mena and places to eat are also available there. The Mena advertising and promotion commission also maintains a website with lots of information about things to do in Mena. Wolf Pen Gap ATV Trails Just South of Mena in the Ouachita National Forest there are over 30 miles of free riding trails for OHV and ATV use called the Wolf Pen Gap Trails. There are three trailheads to choose from and many miles of challenging trails awaits the rider. Also located around the area are a number of cabins for rent.